Ringcreevy is on the edge of Strangford Lough, between Comber and Newtownards. My photos start in the lough itself, with the birds. Twenty thousand Pale-Bellied Brent Geese arrive here every winter, flying in from Canada via Greenland and Iceland. 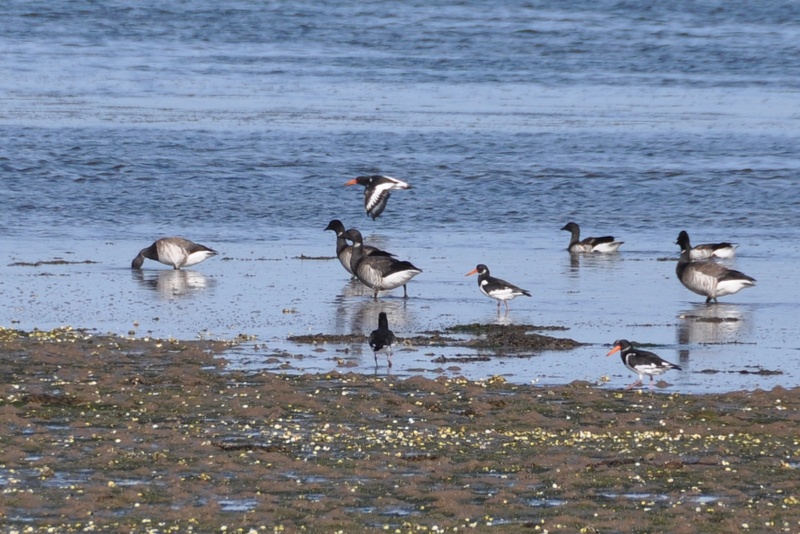 Here are just a few geese and oystercatchers which I photographed in Ringcreevy. 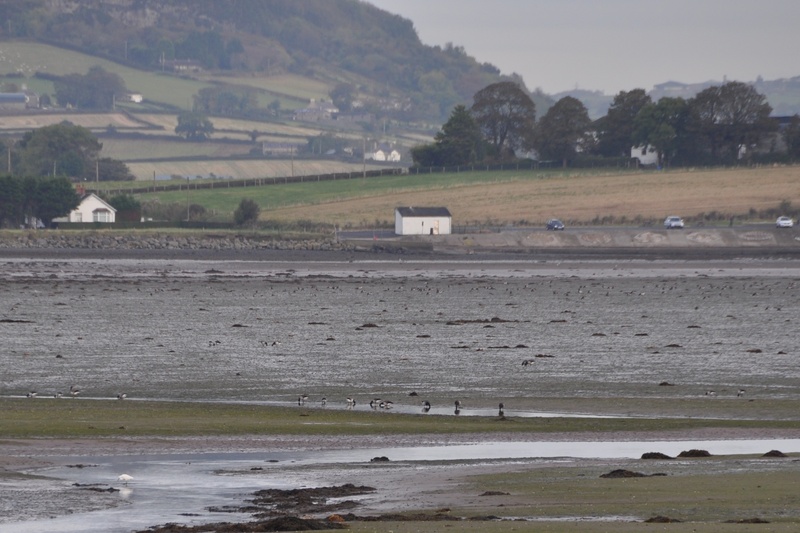 The big attraction for the geese is eel grass in the mudflats of the lough; there’s no shortage of mud on the edge of Ringcreevy. You can clamber out of the mud on Rough Island. In 1936, archaeologists from Harvard University excavated a Mesolithic shell midden on the summit of Rough Island, which suggests that people were living here 5,000-10,000 years ago. Most of the Mesolithic shells were oysters. The best I can offer are some Ringcreevy mussels and limpets. Rough Island’s current inhabitants are birds, like these ones which entertained me last September by huddling on the rocks as the tide rose around them. A causeway from Rough Island brings you to a headland called Island Hill. I wasn’t impressed with the next image when I took the photo, but it’s actually useful today to show you the Island Hill carpark and visitors’ facilities, as seen from the other side of the estuary. And zooming in on the bottom left corner, I was surprised to spot what I think is an egret. Ringcreevy is named after this spot, from the Irish Rinn Chraoibhe meaning “headland or promontory of the branch or tree” (as explained on the PLACENAMESNI website). The Ringcreevy Road will lead you away from the lough across flat, fertile, potato-growing farmland. 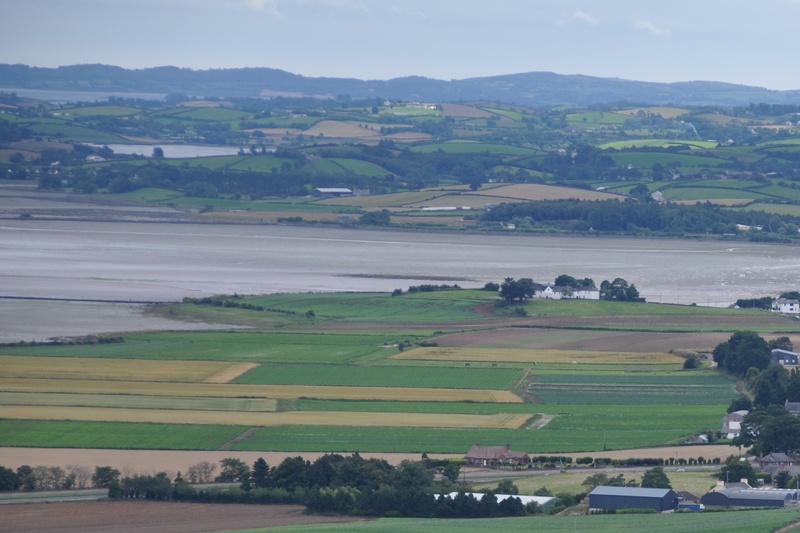 These photos were taken from Scrabo Hill. The next one includes Rough Island. 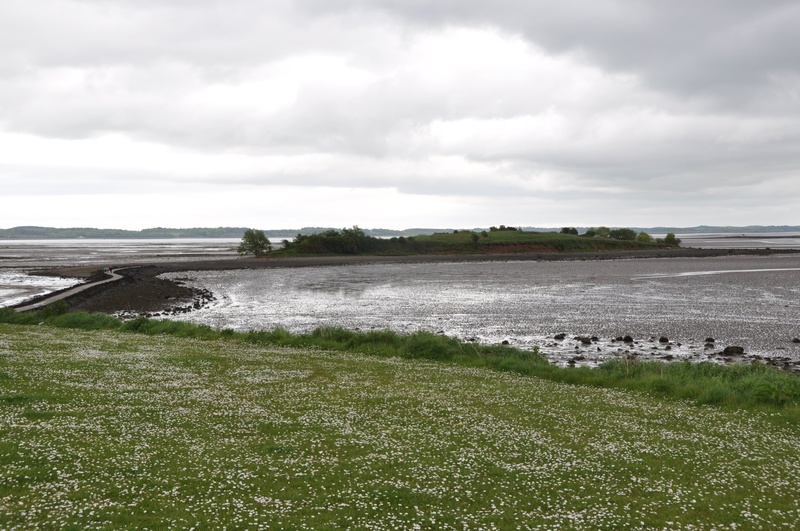 Strangford Lough can look beautiful when the tide is in – I don’t know why I keep catching it at its muddiest! click here for my own blog post on Castle Espie. Which townlands border Ringcreevy? Ballyrickard, Longlands and Cherryvalley. And finally, click here to see a map of Ringcreevy and to read about the townland’s name on my usual source – PLACENAMESNI.ORG. I wonder how to add sound to these posts? Click to hear the honking geese on my posts…click for the honking motorists in yours. That’s interesting. The experts call our landscape a “basket of eggs”, because of the small hills. I prefer to think of it as a “basket of potatoes”. Definitely an egret 😃. Wonderful scenery too. Thanks, Andrew. I will check my images in future to see which birds are photo-bombing me. When I was growing up, I swam every day at Island Hill. 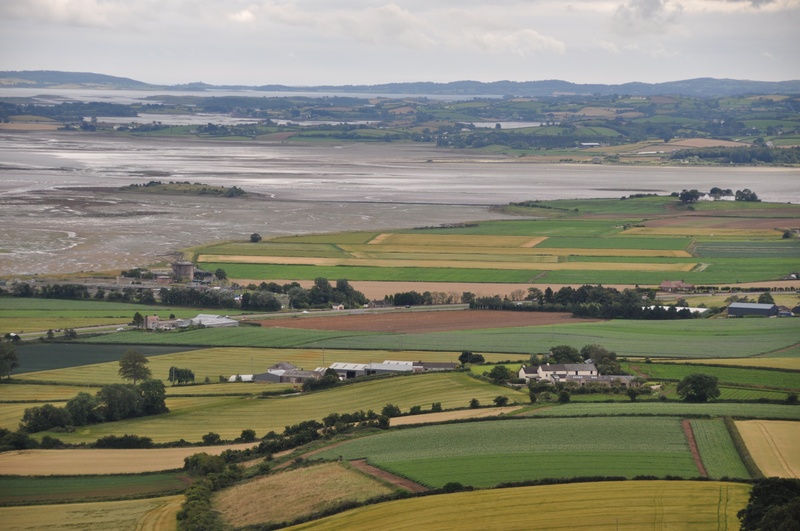 All summer, family life was governed by the Strangford Lough tide tables.